Static and rotating equipment play a vital role in the oil and gas industry as midstream, upstream, and downstream activities depend on the quality and reliability of these equipment. Some of the static equipment used in oil and gas industry are furnaces, valves, heat exchangers, and boilers. The rotating equipment used by the oil and gas industry include pumps, turbines, and compressors. Static and rotating equipment are thus widely deployed in the oil and gas industry. These equipment include pumps, turbines, and compressors. The investment of static and rotating equipment is dependent on exploration and production budget of oil and gas companies. Also, the investment of these equipment depend on specific country’s outlooks for the hydrocarbon industry. Some of the factors boosting the global demand for static and rotating equipment include, oil production from unconventional sources, shale gas boom, and LNG infrastructure. In addition to this, extensive investments in the refining sector in countries of the Middle East will also drive the market for static and rotating equipment. Static and rotating equipment are manufactured by OEMs across the world, who supply to E&P companies and EPC contractors. Few countries such as China, Canada, the U.S., and GCC countries have high demand for static and rotating equipment on account of their developed hydrocarbons sector. The growth of the static and rotating equipment market is cemented by the discovery of new oil sands in countries such as Canada. There is also a re-opening of offshore exploration and production activities in the Gulf of Mexico, which will create a positive market outlook. The privatization of the hydrocarbons sector in Mexico will also boost the growth of the market. In addition to this, the ever increasing focus on the drilling of shale wells will push the market towards growth. The development of LNG industry is also anticipated to create growth opportunities in the market. While the overall outlook for the global static and rotating equipment market looks positive, it is possible that some of the hostile macroeconomic factors will impede the demand for these useful equipment. The pricing factor is becoming a major issue for manufacturers and is restraining the growth of the global static and rotating equipment market. 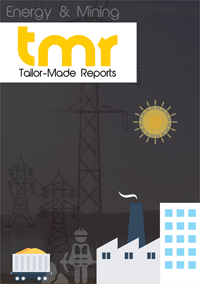 On the basis of geography, the global static and rotating equipment market is segmented into Asia Pacific, Europe, North America, the Middle East and Africa, and South and Central America. Of these, North America is expected to continue to lead in the market throughout the forecast period, after being the regional segment even in the past. In contrast to this, Europe is expected to witness a sluggish growth as operators are faced with the challenge of maintaining the margins within this expensive industry. The market condition in Asia Pacific is expected to improve. This is because several steps are expected to be taken to improve the infrastructure and enhance the exploration of LNG. Similarly, improvement in infrastructure is predicted in the Middle East and Africa, and thus the region will bode well for the static and rotating equipment market in the future. Some of the key vendors operating in the global static and rotating equipment market are Pentair plc, Sulzer Limited, Metso Oyj, Alfa Laval AB, Siemens AG, FMC Technologies Inc., Atlas Copco AB, General Electric Company, Flowserve Corporation, Mitsubishi Heavy Industries Ltd., Technip SA, Tenaris SA, Wartsila, OAO TMK, and Doosan Group.